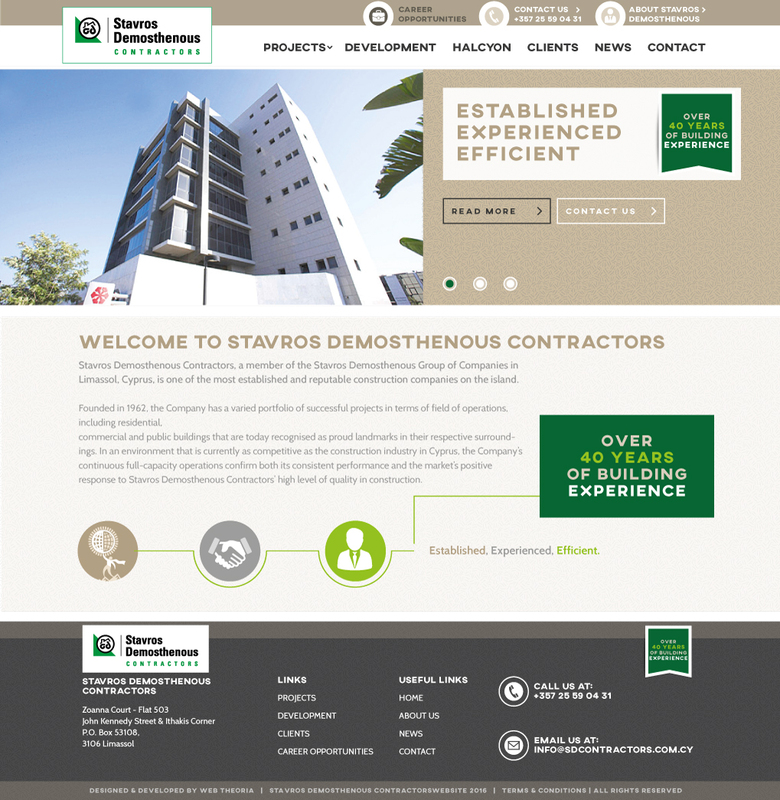 Stavros Demosthenous Contractors, a member of the Stavros Demosthenous Group of Companies in Limassol, Cyprus, is one of the most established and reputable construction companies on the island. The Company has a varied portfolio of successful projects in terms of field of operations, including residential, commercial and public buildings that are today recognized as proud landmarks in their respective surroundings. 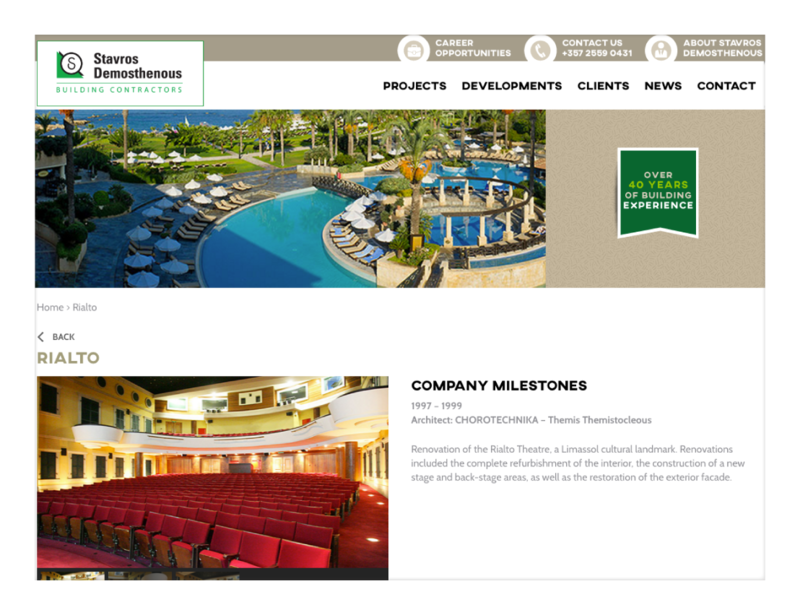 A highly reputable contractor in Cyprus contracted us to design their new website. That’s a tall order for us to follow as Stavros Demosthenous Contractors is known for their attention to detail. The plan was simple: proceed with the design of a clean, easy to navigate website that would provide its visitors with a clear idea what the company was, is and will continue to stand for.